View a slider (e.g. 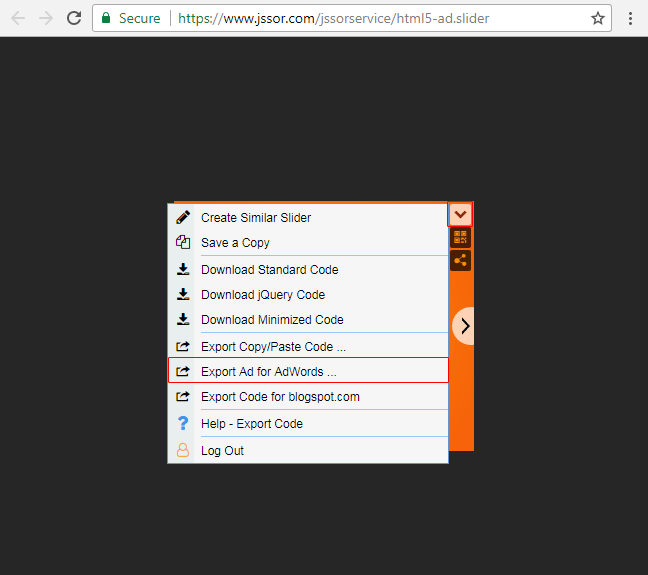 /jssorservice/html5-ad.slider). 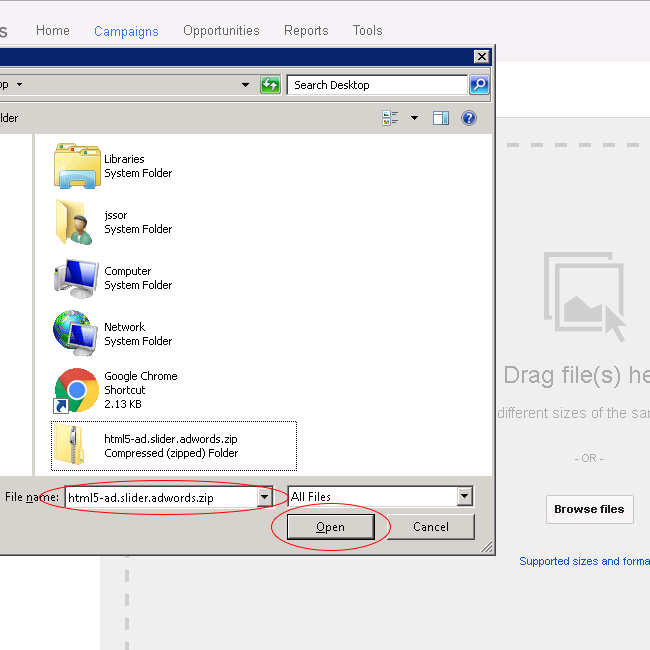 In the slider view page, click command button at top right corner, and then click 'Export HTML5 Ad for AdWords' on the dropdown menu. 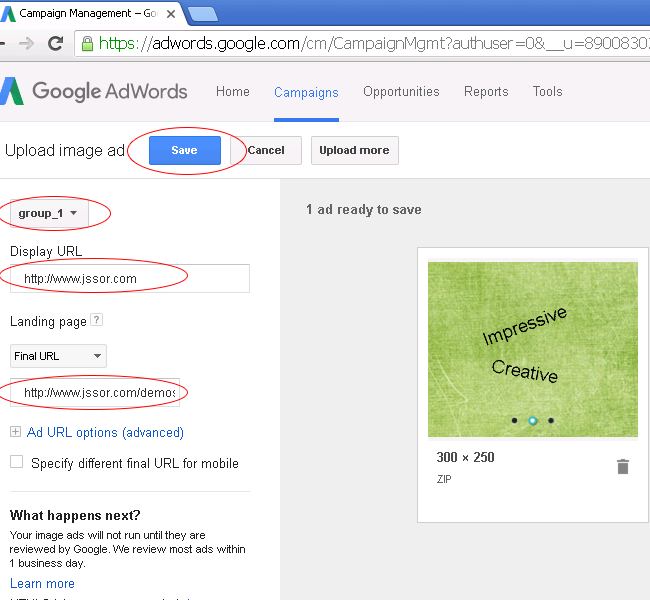 In the popup dialog, click 'Download Code' button, you will download 'html5-ad.slider.adwords.zip'. 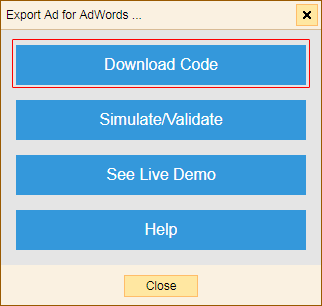 In addition, before downloading the code, you can click 'Simulate/Validate' button to simulate/validate the Ad. 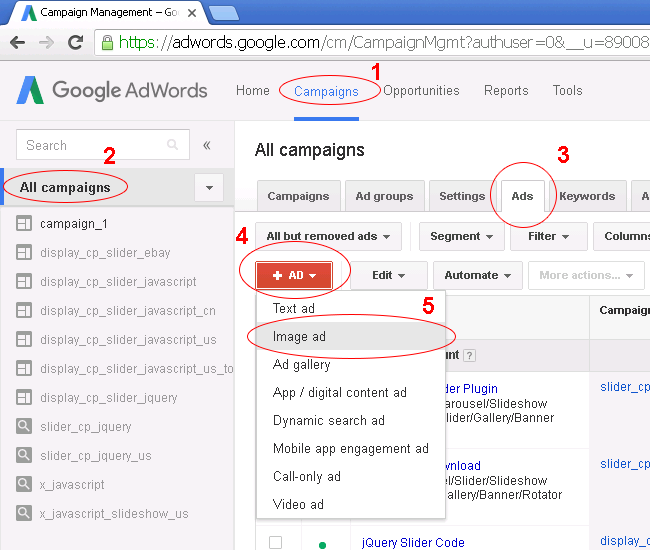 Ad size should be one of 300 x 250, 728 x 90, 160 x 600, 468 x 60, 120 x 600, 320 x 100, 300 x 600, 336 x 280, 320 x 50, 250 x 250, 200 x 200, 970x90, 970 x 250, 300 x 1050, 980 x 120, 930 x 180, 250 x 360, 580 x 400. Number of resource files should be no more than 40. Animation length should be less than 30 seconds. 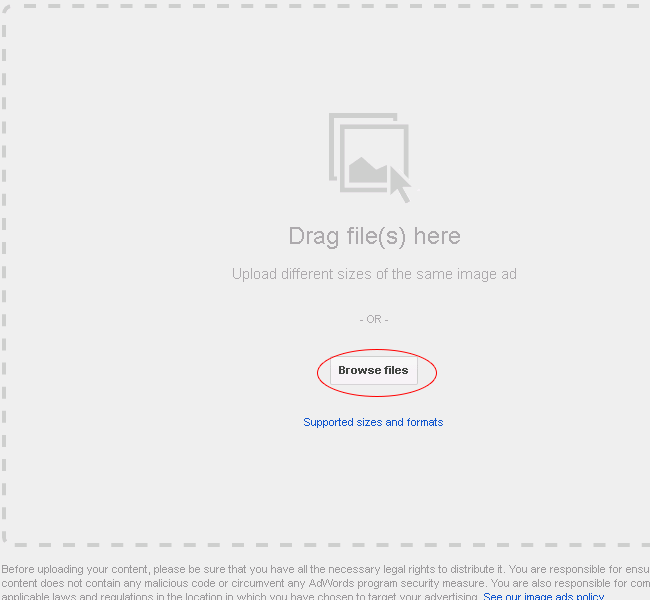 Zip file size should be no more than 150KB. 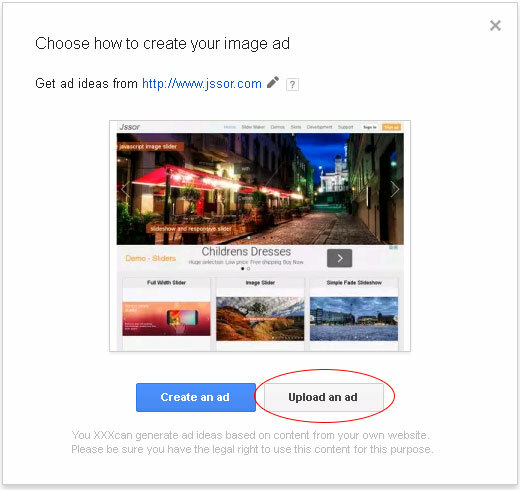 Sign in to your AdWords account, create an image Ad.